Life is what happens while you are busy making other plans. So the oft-repeated phrase goes sung by John Lennon in his “Beautiful Boy” song. It was a typical Saturday morning. I had just returned from my morning jog and was catching up on e-mails when my husband called out to me from another room. He asked me what the date was. Thinking he was really asking if his daughter’s birthday was today or tomorrow, I responded that tomorrow was her birthday. His response got my attention. He said that was not what he was asking. He didn’t know what day of the week it was or the date. He said his computer calendar showed that it was Saturday, March 3. But he could not relate to the date. I then asked him who is the president of the U.S. and he said he had no idea. Now that was alarming. He is well-informed, opinionated, follows politics, knows the names of most senators and representatives and absolutely without a doubt knows who the president is. My first thought was stroke. We went through the three key symptoms — smile, lift arms, repeat a phrase. No symptoms. We then went through the more comprehensive symptoms, 13 in all, easily found on the Internet. Again, no symptoms. Given his health history and medications, I called 911. Six strapping young men arrived in minutes. Sirens and lights blazing. Blood pressure, blood sugar, EKG, questions. Some he could answer. Still didn’t know who the president is. Long story made short. They brought in a stretcher, lashed him down and took off for Mayo Hospital Clinic. I followed. He was fine within about four hours. Knew the date and who the president is. After a day of tests and full neurological work-up, we left with a diagnosis of transient global amnesia. No precursor of future problems. Scary. And fortunately, no impairment or limitations. Wow! We learned a lot! For starters, we thought we had our stuff together. You know – trust, wills, powers of attorney, doctors, medications, insurance cards, ID, etc. When the paramedics recommended that I take him to the ER, I remember saying I did not have a clue how to do that. Do I just put him in the car and drive up to the emergency entrance. That’s about it they advised. I must have had that classic deer-in-the-headlights look because they quickly said they would take him. Just follow when I could. It would have been hard not to notice that I had a tiny Shih Tzu puppy in my arms. I needed to make some arrangements for her not knowing how long we would be at the hospital. Among the information the paramedics asked was did I have a list of current medications for my husband. I knew he kept very detailed medical information in a yellow file. It had the names and contact information for his doctors. Some of whom I had met. Most I hadn’t. But where did he keep the yellow file folder? I found it in a few minutes. Guess how many yellow file folders he has? He uses yellow file folders for all of his files. An estate plan is not an emergency plan. We learned that we did not have an emergency plan. Oh, we had pieces and parts. But no real plan. We’ve now put a detailed plan in place. We got through the experience just fine. Doctors, neighbors, paramedics and friends all rallied round. We were very lucky. And are very thankful. We have not written about having an emergency plan until now. We hope our experience will cause you to think about what you would do in an emergency. And take steps to be as prepared as you can. It lessens anxiety and may be life-saving. 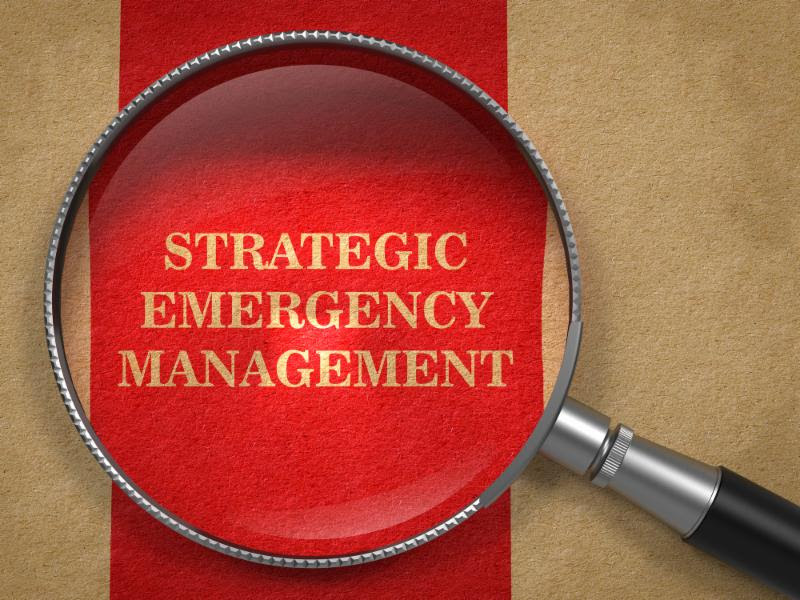 You can find numerous emergency plan templates online that can help you formulate your emergency plan step-by-step. We do write a lot about long-term care expense planning – risk, costs, funding options, products and more. This is our expertise and we can help you with long-term care expense planning every step of the way. For more information about long-term care and what insurance covers, visit our educational blog, www.LongTermCareInsuranceAmerica.com.